rrvgs@time-passages.com Time Passages is a family history research service that specializes in the genealogy of pioneer fami lies who settled the Dakota Territory, North Dakota, and South Dakota. Time Passages is a genealogy research service of the Red River Valley Genealogical Society, Fargo, North Dakota. Features links to county and state genealogy libraries and state archives. Find out where to write for vital records. NDWARD-L-request@rootsweb.com Please take a few minutes to explore this page and discover the heritage of Ward County. Patrice Hartman Patrice Hartman does private reserach on North Dakota census records and North Dakota Archives John Mogren Seeking your roots in the Kenmare area? I have considerable genealogical/holdings for this area and am willing to do limited research for you. Contact John Mogren. Recently an article appeared in the "Minot Daily News" which might be of some interest to genealogists of North Dakota: People who know the locations of wrought iron cross cemeteries in 10 counties west of the Missouri River (DOES NOT INCLUDE WARD COUNTY) are asked to contact the State Historical Society of North Dakota. Enter a name (or partial name) and search through all of the listings for North Dakota. Abbreviations should always include a period (e.g. MT. for Mount), and this search is not case-sensitive. Society: Hint : Use key words to find all the variations of the society name for which you are looking. Welcome to North Dakota Genealogy Select county from map below OR from the county selection list. Links to north dakota genealogy web sites in 27 different categories. U.S. Genealogy Sites State by State Genealogy Today is pleased to announce that it is the new home of the StateGenSites database of over 20,000 genealogy web sites. Launched on October 7, 1999 by Michelle Rich and Bill Hocutt, the SGS database started as an in-depth study of Alabama (by Bill) and Pennsylvania (by Michelle). It has since become one of the largest directories for U.S. genealogy, categorizing links by state within 27 categories. Click on any of the states listed below for helpful genealogy site links around the United States. Stutsman County north dakota genealogy. New Zion United Church of Christ Church at Medina is to publish a history of various Medina churches. If you would like to reserve a $10 copy, contact Mary Heupel at lazyh@daktel.com for details. Stutsman County was organized in 1873 from a part of Pembina County. The county seat continues to be Jamestown, its principal city of about 16,000 population. The county was named for and by Enos Stutsman, a physically handicapped scrapper, lawyer and politician from the early days of Dakota Territory. Stutsman, a resident of Pembina, never resided in the county of his name. The first courthouse was built in 1879. The 1883 building, while no longer used for county business is the oldest couthouse in the state. Settlement of the county followed the 1872 arrival of the transcontinental Northern Pacific Railroad. Genealogy Helplist North Dakota. Genealogy Helplist North Dakota Paul VerónicaAnguiano helplist@posom.com Posom Design Last revised 13 October 2000. Rural and Village Cemeteries of Stutsman Co.
"The McClusky Gazette", years 1905 - 1918 [in early years was the McLean County Gazette]: covers McClusky, Denhoff, Turtle Lake, Mountain City, and surrounding towns. 50th Anniversary Book: Turtle Lake, North Dakota 1905-1955. This contains biographies of many pioneer families. Only biographies are indexed. 1971 Volume of "Pioneers and Progress" by Burke County and White Earth Valley Historical Society, includes homesteaders and histories. Divide County History, 1964 and Divide County History 1974, both stories and histories of Divide county pioneers and townships written by the Participants or relatives. Genealogy for the county. Includes links to surnames, families and addresses. NDGenWeb A small part of the USGENWeb Project The American Elm is the North Dakota state tree. About the NDGenWeb Project Surnames 3 August 2002 Queries please resubmit any 2001 query that does not appear on the page. Barnes County Resources Barnes County Addresses Barnes County Families Look-Ups 2 May 2000 Genealogy Links You are visitor number since August 11, 1998. Genealogy search with a brief history of the county and links to other sites that may be helpful. LaMoure County was established 4 January, 1873 and organized 22 October, 1881. The county seat was named as Grand Rapids. In 1886, the county seat was moved to LaMoure. Both the county seat, and the county were named for Judson LaMoure (1839-1918). He was a prominent territorial and state legislator. Its peak population was in the 1920 census of 11,500. The 1980 Census shows 6473 living in the county. Area of county - 1147 miles. Do a Search or post a Query on the Rootsweb Message Board! USGenWeb ND Archives Browse the files, which include: state historical and land files, Published Cemetery Books of North Dakota and more, or use the search engine to query the archives. Home Regional US States north dakota genealogy Forum (Page 2) Countiesfor this State. north dakota genealogy Forum (Page 2). Bares family of S.D. or N.D., any help? north dakota genealogy South Dakota Genealogy.YOU'VE COME TO THE RIGHT PLACE Welcome Home! north dakota genealogy Research north dakota genealogy Resource Center;North Dakota Census Records; Discover north dakota genealogy WebRing. North Dakota Genealogy Databases Try the US and Canada Collection for 14 Days Free! 1790 Census Images 1800 Census Images 1810 Census Images 1820 Census Images ... Try the Census Free for 14 Days! north dakota genealogy look ups for North Dakota census, marriage records, cemeteryrecords and other offline resources from our volunteers. On This Page North Dakota genealogy free look ups for North Dakota census, marriage records, cemetery records and other offline North Dakota genealogy resources from our volunteers. These GeneaSearch visitors have generously volunteered to do North Dakota genealogy lookups in their offline genealogy resources. 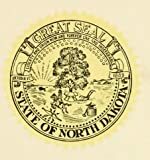 If you have offline North Dakota genealogy books or other resources. Volunteer here to do look ups for others . Please do not use the volunteer form to request information. Links to other states are below the look up volunteers. north dakota genealogy Databases. north dakota genealogy Databases ClickHere to List ALL North Dakota Databases North Dakota Birth Records.